It has been announced that the acclaimed musical Matilda will head to Melbourne in March 2016, after its premiere current season in Sydney ends at the end of January. Based on the famous book by Roald Dahl and brought to life by Tim Minchin’s music, Matilda the Musical will open at Melbourne’s Princess Theatre on March 13. It is the story of an extraordinary girl who dreams of a better life. Armed with a vivid imagination and a sharp mind, Matilda dares to take a stand and change her destiny. The children’s auditions for the Melbourne cast are currently underway and should be announced shortly. Rehearsals begin in December. 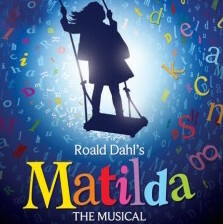 Matilda The Musical will be produced in Australia by the Royal Shakespeare Company, Louise Withers, Michael Coppel & Michael Watt with Andre Ptaszynski and Denise Wood as Executive Producers.